Google recently announced that they will be releasing a massive overhaul to the UI of their web-based calendar app. 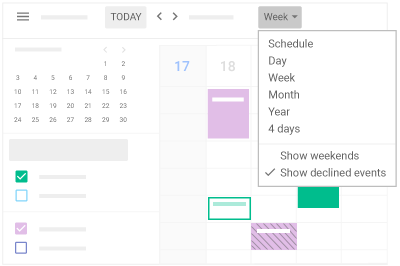 The update, which is long overdue, boasts new event, calendar view, and settings features that will help users become more efficient in planning their daily, weekly and monthly appointments, events, and activities. Most private Google accounts will be able to try the New Calendar now, while Education and Enterprise users will receive the rollout starting Nov. 14, 2017, for Rapid Release domains and Nov. 28, 2017, for Scheduled Release domains. Additionally, new features such as improved room resource information, rich event descriptions, a side-by-side view will also be included in the update.